Come give and/or get seeds, cuttings and plants for free from hobbyists and professionals. Our food security is supported through local seed sovereignty. Sharing in the seed commons is a historical act of community solidarity. While you could easily score a hundred dollars worth of free seed, the knowledge of what to do with those seeds, freely shared by experienced gardeners and farmers is priceless. This is an especially rich community event consistently scoring a “10” on the community vibrancy scale. 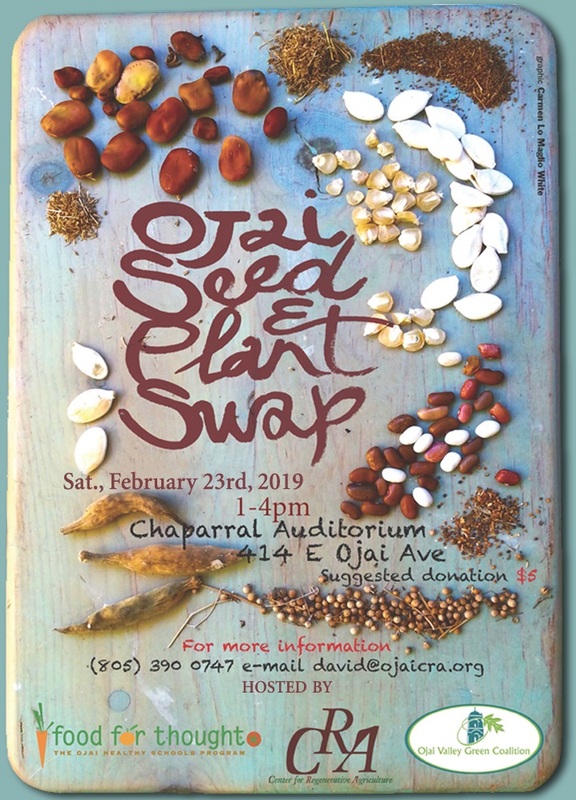 The Ojai Seed & Plant Swap is open to all. To support your hosts there is a $5 donation request at the door and be entered to win a door prize.